A hugely ambitious expedition to reach the deepest points of the world's five oceans has made history. The victory was made when explorer Victor Vescovo, of the Five Deeps Expedition, became the first human to dive to the deepest point in the Southern Ocean. 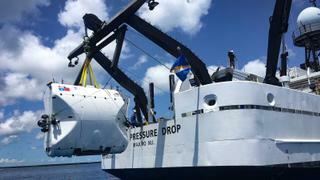 Using Limiting Factor, a two-person deep sea research submersible designed by Triton Submarines, Vescovo successfully dived to the deepest point in the South Sandwich Trench, at 7,433.6 metres down. It took him over two hours to dive to the bottom where he took high definition video of the sea floor and collected soil and water samples. Located north of the Antarctic, the South Sandwich Trench has not been thoroughly explored and is the only subzero Hadal zone (deeper than 6,000 metres) in the world. Speaking after the historic dive, Vescovo said: "I am so proud of the entire team for working in very difficult, near-zero temperatures to launch and recover the Limiting Factor. It was an extremely challenging dive technically, but we were lucky with the weather and were able to visit the bottom of the Southern Ocean for the very first time." The expedition was launched by charter specialist EYOS Expeditions last year and follows three years of preparation and research. If successful, it will see a manned submersible vessel reach the five deepest points in the oceans. 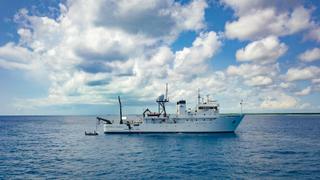 The expedition is a collaboration between investor and explorer Vescovo, EYOS Expeditions and Triton Submarines. Vescovo pilots the sub, while EYOS, lead by Rob McCallum, is responsible for the overall coordination of the expedition, from preparation and planning to day-to-day leadership. The scientific mission meanwhile is being led by Dr Alan Jamieson of Newcastle University. The company previously provided polar logistics and operational support on board 56 metre research vessel Alucia on her three month deployment to Antarctica for the BBC series Blue Planet II. The two-person deep sea research submersible called Limiting Factor was designed by Triton specifically for the expedition. It is being transported and deployed by the recently refitted ship Pressure Drop. Following the successful dive in the South Sandwich Trench, the expedition will attept to dive to the bottom of the Java Trench in the Indian Ocean at 7,725 metres down, the Malloy Deep in the Arctic Ocean at 5,669 metres and the Puerto Rico Trench in the Atlantic Ocean at 8,648 metres down. Finally, the expedition will attempt to dive to the deepest of them all, the Mariana Trench in the Pacific Ocean at 10,898 metres down. 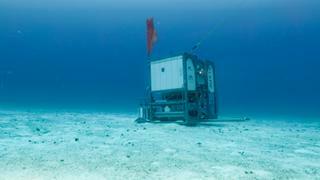 Speaking about the project, Vescovo previously said, “In 2015, I was very surprised to discover that no-one had ever been to the bottom of four of the world’s oceans. I thought it would be a great goal to push the absolute limits of marine technology. We sincerely hope to make history both technically and scientifically on this expedition.” “This project allows us to finally explore the last frontier on Earth,” McCullum added.